Depeche Mode Announce Reissue Boxsets For All Their Singles - GENRE IS DEAD! Last week, Depeche Mode posted cryptic teasers on Twitter showing updated images from their first two albums, Speak & Spell and A Broken Frame. Later, they revealed plans to reissue all of their singles as 12-vinyl box sets starting with their first two LPs. The two boxsets come with a replica poster and download card and will be released August 31 via Rhino Records. They’ll retail for $59.99. Both are available for pre-order now. The singles feature remastered audio from the original tapes recorded at Abbey Road Studios and will be packaged in replicas of the original vinyl artwork. Each set comes with three 12-inch singles, though Speak & Spell comes with a bonus replica of a flexidisc from Flexipop magazine in 1981. The LP features Depeche Mode’s “Sometimes I Wish I Was Dead” on one side and Fad Gadget’s “King of the Flies” on the other. 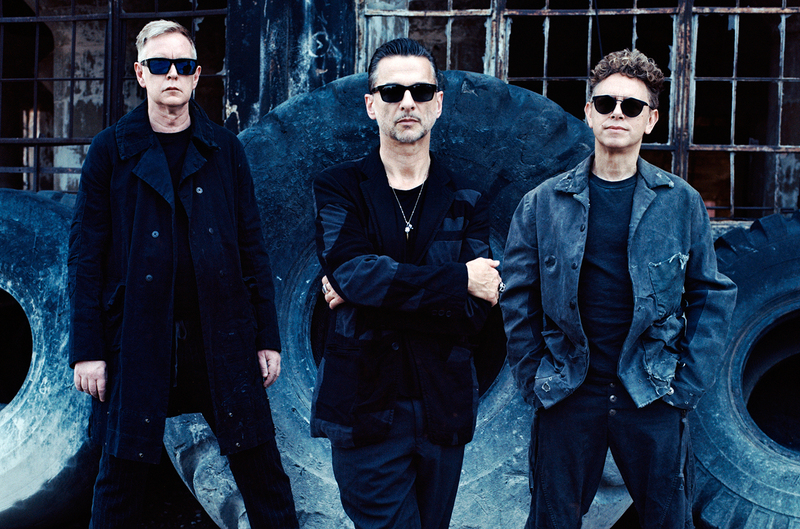 According to Rhino the Depeche Mode 12-inch boxset series will “continue over the coming years” and plans to release collections with singles from all of their albums. ← GENRE IS DEAD’s Releases Of The Week: Don Broco, Chelsea Grin, All Time Low and more! Can’t wait to see the box sets for Violator and Black Celebration!